Sometimes the heart leads and the mind must follow.Ardra has no idea why she’s been abducted and thrown into a Roimarian interrogation room. She is simply a Tetch botanist on her way to a distant planet, not an enemy spy. She’s scared of the piercing eyes of the mind-reading precept assigned to uncover whatever secrets her mind might be holding. But even more worrying is the strange soul-deep connection between her and her captor. Jackson Deimos excels at slipping in and out of someone’s memories to retrieve military intelligence deliberately hidden away—even from an unwitting carrier. But Ardra’s brain is a labyrinth of defenses he’s never encountered before. Plus, her beauty shouldn’t be this much of a distraction. As their battle of wits and wills wears on, their emotions are the first to betray them.But if Jack can’t break through Ardra’s barriers, his superiors will turn her over to someone who will—by force. Leaving Jack having to choose between doing his duty or following his heart. Warning: Contains a plant expert whose brain is carrying around the seeds of rebellion, and a mind reader whose heart gives him a case of psychic dyslexia. Contains reference to attempted suicide and love scenes not appropriate for little sprouts. This one fell short for me. 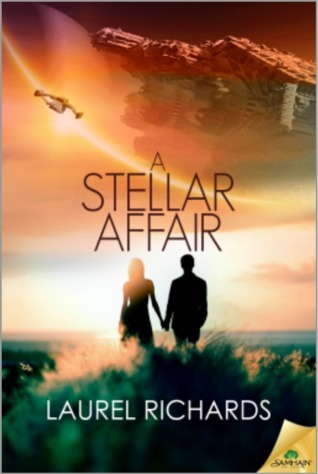 I thought there would be more science fiction to it alongside the romance, but it was strictly a romance novel that happened to have science fiction aspects to it. The story was flat and kind of boring since there was so much going on around these characters that they were even part of and it seemed to have like zero impact on them and the story except for being the reason it brought them together. And the reason Jack likes Ardra? Because he can't figure her out. She is a mystery and therefore the sexiest person he has ever encountered basically. It is ridiculous. The supporting cast could have all had the same personality for the glimpses of them we saw. They were there to give Jack and Ardra the nod to be together and didn't seem to have lives outside of that unless they affected Jack and Ardra. There were other characters I would have liked to see more of: Nash and Norma for starters. But everyone was overlooked or only given roles if it helped Jack and Ardra get together. I didn't like that. It was as if this war between the Tetchs and the Roimirans was written to give Jack and Ardra a reason to be together and have some drama/angst before they actually get together. Which means that the world building was seriously lacking. There was an info dump about the beginnings of the war in the second chapter but then that was it and it jumped to a year later. Did anything more happen in that time? Are people still fighting? What is the propaganda that both sides see that makes them stick with this? If there really are only a few "extremists" then why is the war still happening? There were so many questions I had about how things actually worked in this society and none of them were even remotely answered. Overall: 2/5 for this one. I would have liked more of the world to be expanded upon and for there to be more reason behind this being in a science fiction-post apocalypse world rather than just dumping two characters in this place to fall in love.